Addictions and mental health patients at the Abegweit First Nation Mi'kmaq Wellness Centre are seeing success incorporating Mi'kmaq traditions into their healing, centre staff say. 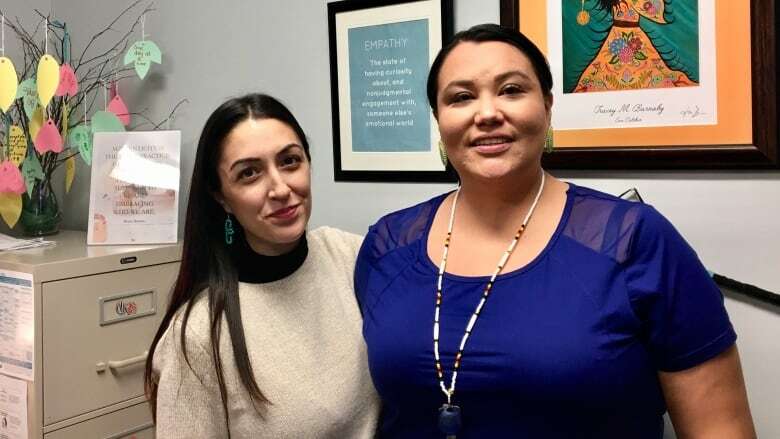 Mental health and addictions clinician Shannis Gray and community health nurse Melissa Jadis provide a variety of services to clients of all ages and needs at the centre in Scotchfort, about 20 kilometres northeast of Charlottetown. "It's really allowing ourselves, our community members, to get back to their roots and utilize teachings and tools that have been proven to be very successful for us," Gray said. "We're always trying to meet our clients where they're at, recognizing that they're the experts of their own lives," Gray said. "I think it's kind of a new concept, but we're definitely on board and looking at different avenues in order to promote that and that's something we're definitely excited about." They don't assume all clients will want to incorporate Mi'kmaq traditions into their healing, Gray said, but they want patients to have the option. Gray says she uses a "braided" approach to care, which includes western clinical practices — such as cognitive behavioural therapy and narrative therapy — as well as options to incorporate Mi'kmaq culture and practices into healing. "So that could be smudging, that could be connecting them with an elder, to do a sweat, or just even traditional teachings from an elder," said Gray. Gray explains there are four sacred medicines in a smudge — cedar, white buffalo sage, tobacco and sweet grass. "I tend to burn my sage and that is really just to try to cleanse the room," she said. She guides the smoke over her head to promote positive thoughts, over her eyes, ears and mouth to see, hear and speak positively, and to her heart. "It just kind of sets the tone." 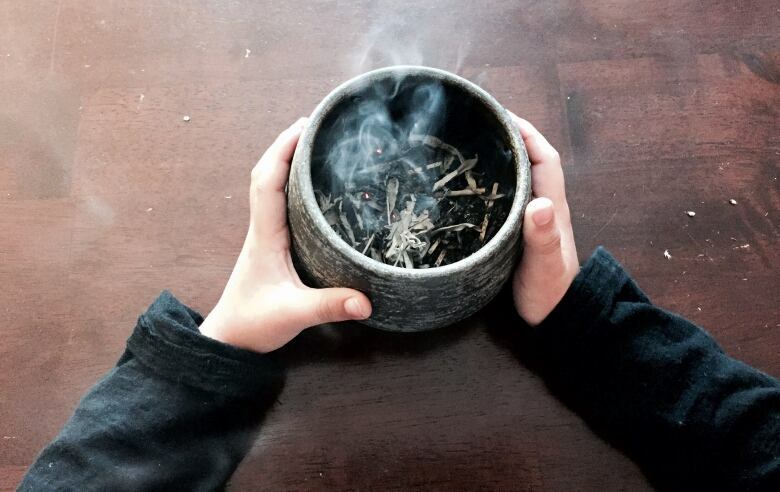 Some clients want to smudge as soon as they arrive, Jadis said. "We also incorporate culture into our everyday practices too, so when we have groups we always have a talking circle — we get together in a circle and we talk," Jadis said. More people are reaching out for help with mental health and addictions, Gray said. "It is really awesome to see," Gray said. "For us as First Nations, we are dealing with a unique set of challenges in terms of intergenerational trauma, so that is something that we are definitely dealing with on a daily basis." Gray shares a favourite quote she uses when talking about healing to her clients. "With intergenerational trauma comes intergenerational wisdom," she said. "That's a message that we are always trying to promote with our community." The women said they do see a lingering stigma to speaking about mental health and addictions, and they promote that it is OK to reach out for help. "Also, talking about the difficult topics that need to be talked about, putting that in the forefront. We had a suicide awareness event last year, we had the first event and this year we had another event," Jadis said. "Topics that are difficult for some but it's something that needs to be talked about."